Just a collection of various fixes relating to the three Creature compaions: Dogmeat, Fawkes, and RL-3. There are two versions of the ESP included in the download: one for users with Broken Steel, and one without. Use only one ESP. Previously, the Updated Unofficial Fallout 3 Patch did not include any of the fixes in this mod, particularly including health scaling. This has since changed, so this mod would seem to be unnecessary if you are running UUFO3P. Also on the topic of the health scaling, I have set the upper boundary on level for Dogmeat, Fawkes, and RL-3 to 100 to support mods which increase the player level cap. This does not mean that they will actually level up to 100, as their level is directly tied to player level; without any other modifications the maximum level for these companions is still 20 (30 with Broken Steel). 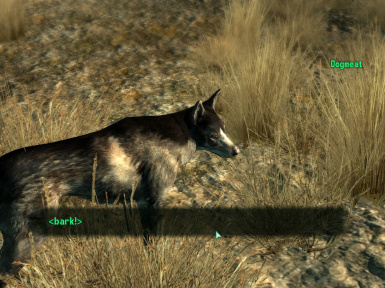 However, if you install a mod which raises your level cap then these companions will keep up.